Even Mississippi has a civil rights museum. Why doesn’t Louisiana? 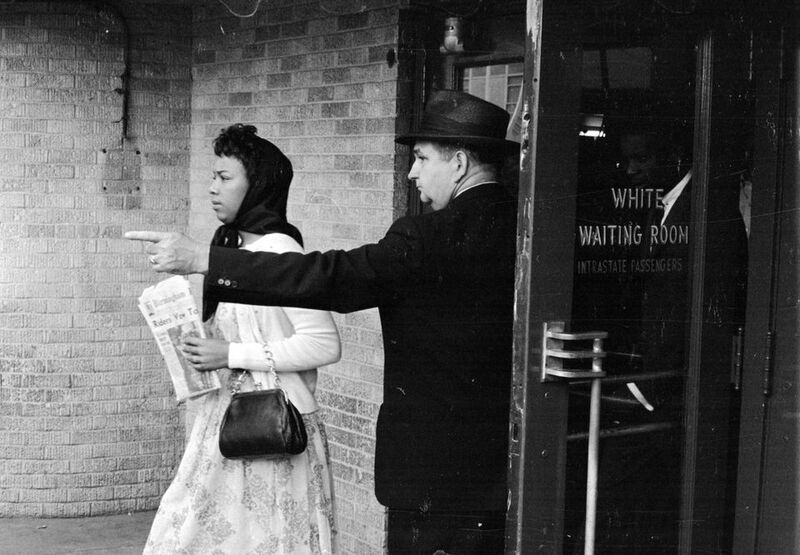 Deep inside the Mississippi Civil Rights Museum in Jackson, Miss., a visitor turns a corner and is confronted with a larger-than-life-size photo of two black civil rights activists arriving at a Jackson bus terminal where they know they will be arrested for entering a whites-only waiting room. 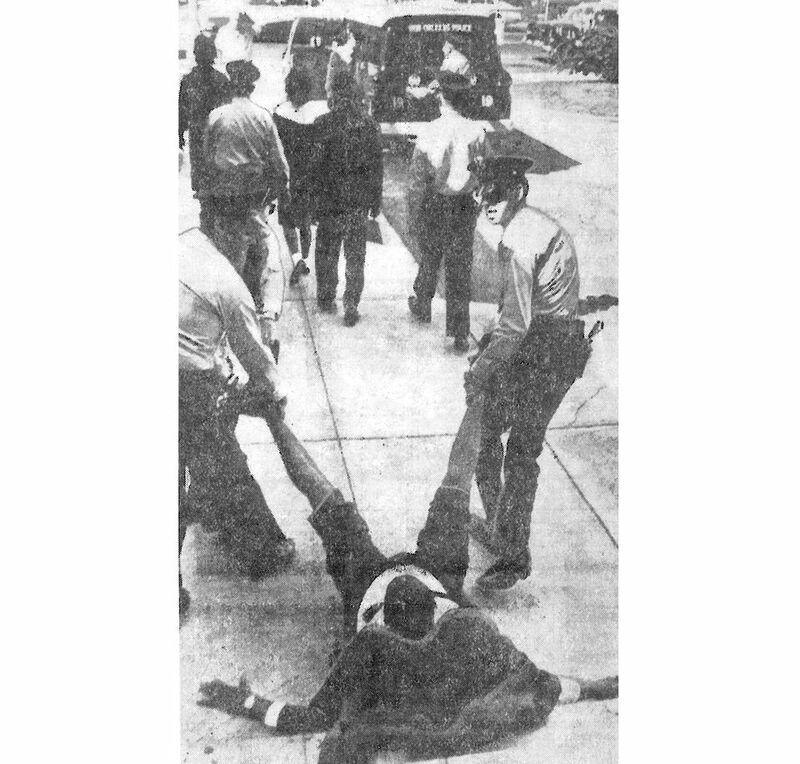 The two self-sacrificing activists – Doris Jean Castle and Jerome Smith – are New Orleanians, and the photo of them looks like it’s been snipped out of a black-and-white action movie. 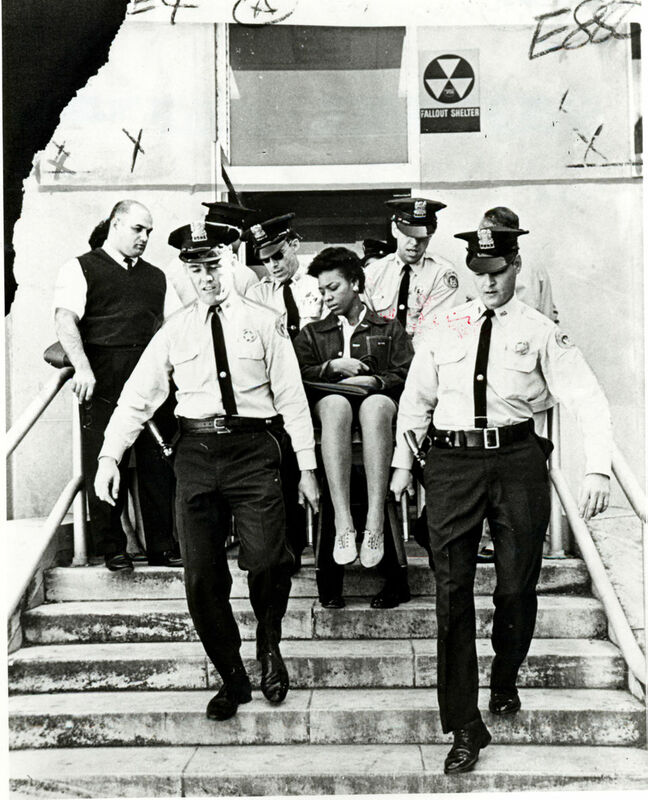 Smith is in stride and holds a suitcase with both hands at waist level; Castle, a purse dangling from her left wrist, holds a Birmingham newspaper in the same hand. “Riders vow…” is the only part of the front-page headline we can see. But the resolute look on their faces finishes the thought. It is obvious they vow to keep going. Even if it means being thrown into a Mississippi jail cell. A New Orleanian standing in that museum three hours north of here feels a twin rush of pride and embarrassment. The pride comes from the realization that the civil rights contributions of New Orleanians is recognized outside New Orleans. But that pride is quickly supplanted by embarrassment that those civil rights contributions are not properly recognized within this state. Alabama has the Civil Rights Institute in Birmingham. Georgia has long had the King Center for Nonviolent Social Change in Atlanta, the city where Martin Luther King Jr. was born. 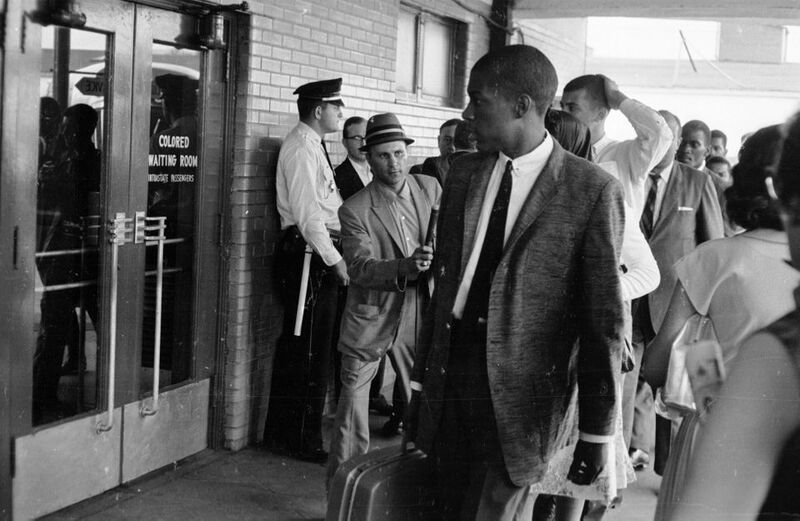 More recently, Atlanta became home to the National Center for Civil and Human Rights. Tennessee has the National Civil Rights Museum; it’s at the site of Memphis’ Lorraine Motel, where King was assassinated. And then in December 2017, just in time for a celebration of the state’s bicentennial, Mississippi opened the doors of the Mississippi Civil Rights Museum. Louisiana has nothing even though it was New Orleans civil rights activity that led to the 1896 Plessy v. Ferguson ruling, one of the most wrongheaded and consequential Supreme Court decisions in American history. 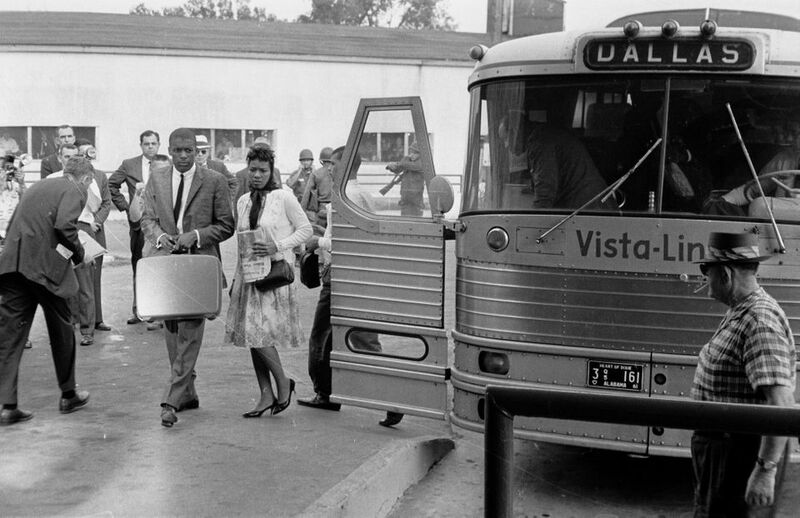 Louisiana has nothing even though a 1953 bus boycott the Rev. 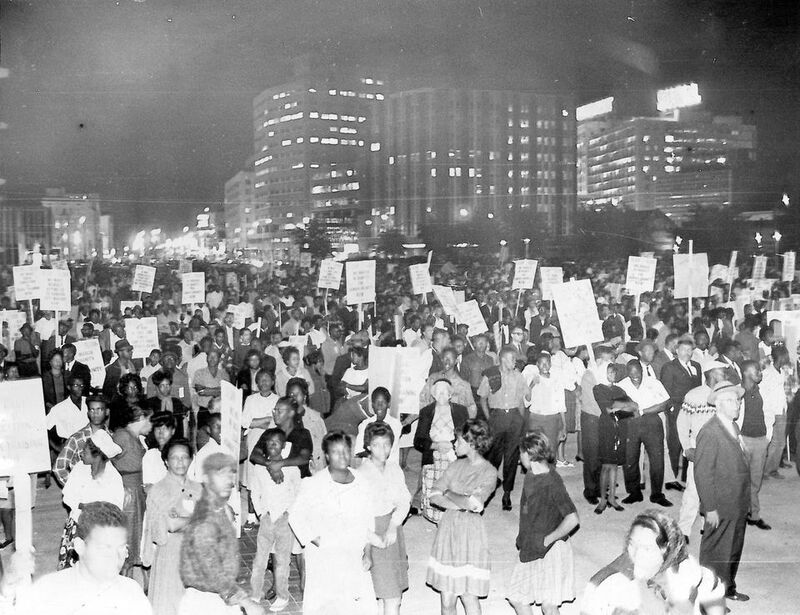 T.J. Jemison led in Baton Rouge inspired a larger, world-changing bus boycott that kicked off in Montgomery, Ala., two years later. Louisiana has nothing even though Jemison and King, the leader of the Montgomery boycott, were among those who met at Central City’s New Zion Baptist Church to help start a new organization called the Southern Christian Leadership Conference. 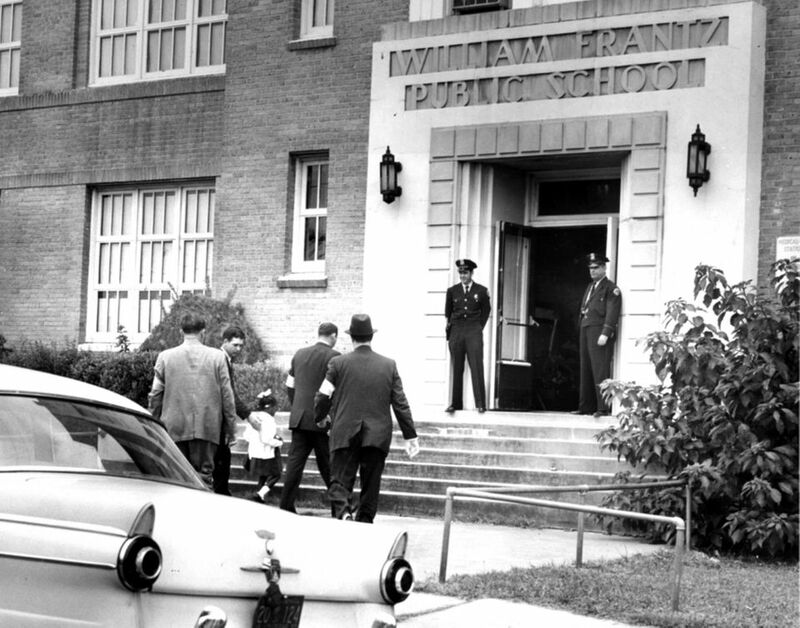 Louisiana has nothing even though the first group of Freedom Riders leaving Washington set New Orleans as their destination; even though the photo of Ruby Bridges walking solo into William Frantz Elementary School is one of the most iconic images of the era; even though the young people who sat in at McCrory’s lunch counter in New Orleans in 1963 successfully challenged their arrests in a Supreme Court case called Lombard vs. Louisiana. 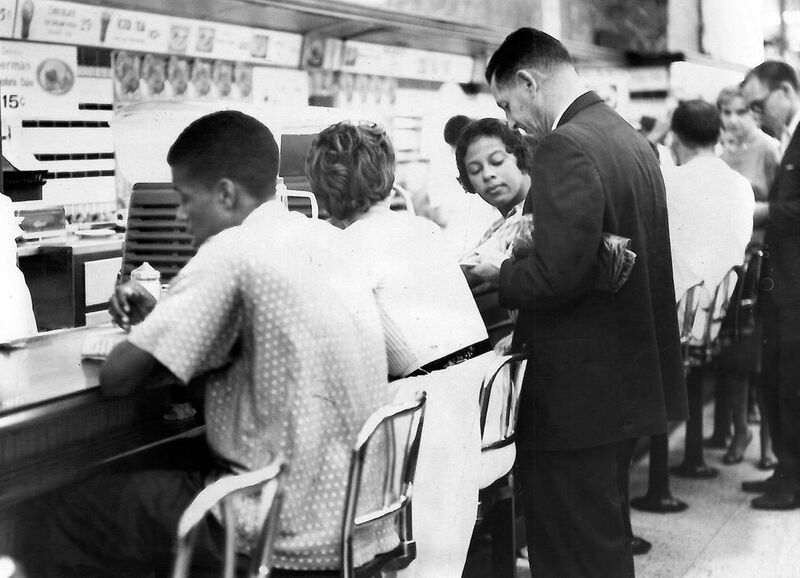 That ruling put an end to many segregationist laws across the country. And yet, there’s no museum here that recognizes the heroism and accomplishments of Rudy Lombard, Lanny Goldfinch, Cecil Carter Jr. and Oretha Castle, the older sister of the woman who’s featured in the aforementioned photo in the museum in Mississippi. 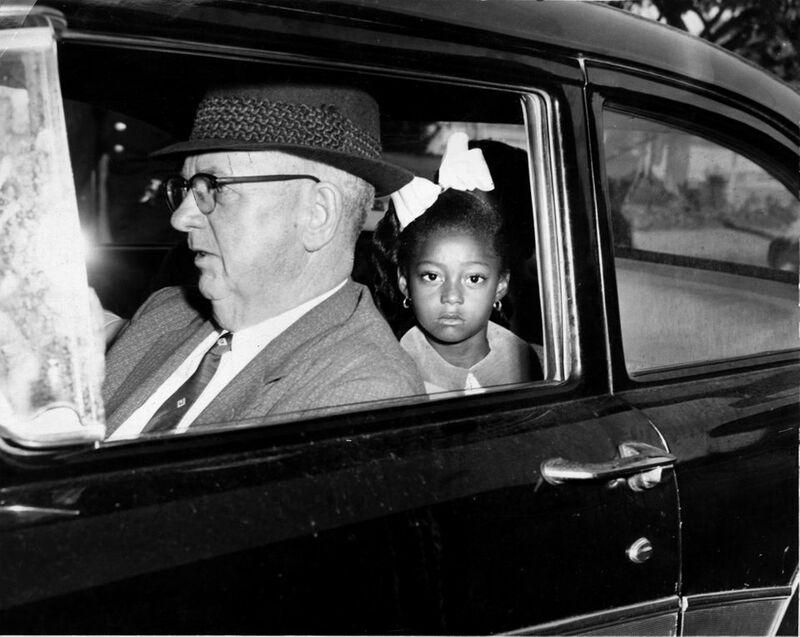 Adding to Louisiana’s shame is this bit of history: Diana Bajoie, a Louisiana state senator who represented New Orleans, authored a bill that establishes the Louisiana Civil Rights Museum and mandates that it be built in New Orleans. The bill passed the state Legislature – in 1999. 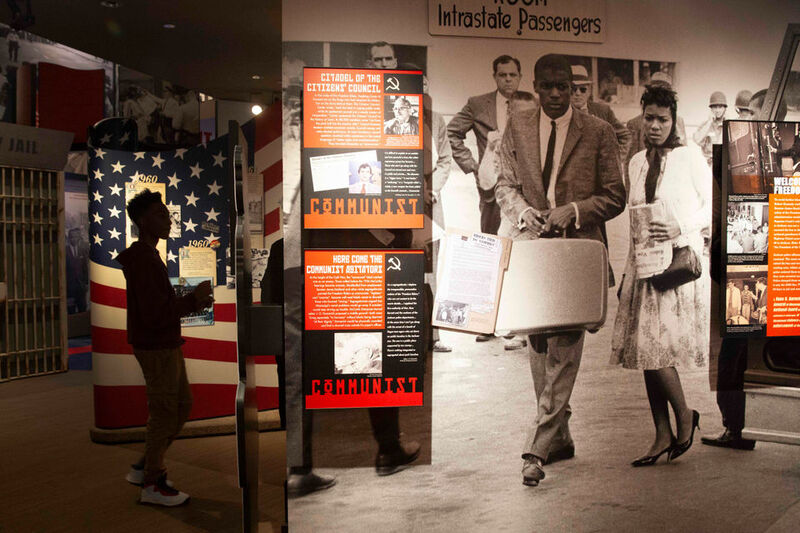 Today, nearly two decades later, New Orleanians still have to leave the state to find a museum that tells the story of the civil rights movement. Attorney Ernest Jones, an advisory board member for the Louisiana civil rights museum, says he hasn’t yet been able to bring himself to visit the new civil rights museum in Jackson. It breaks his heart, he said, that Mississippi, which started planning a museum long after Louisiana did, has opened the doors to its museum, and Louisiana hasn’t even gotten as far as selecting a location. Jones believes that Louisiana’s role in this country’s civil rights movement hasn’t been adequately appreciated. “We had folks here in this town doing stuff that folks don’t know anything about,” he said. A major goal of a museum would be to help young people see themselves as capable of producing change, he said. Why doesn’t Louisiana have a civil rights museum 19 years after Gov. Mike Foster signed Bajoie’s bill? The most direct answer appears to be that no one with sufficient clout has made the project a priority. What little money there is for the project, Jones said, can’t be used until the museum is shovel-ready. It’s unlikely that day will come until somebody with power – say, the mayor of New Orleans or the governor or lieutenant governor of Louisiana – forces a decision about the museum’s location. As is typical for the state’s appointed boards and commissions, the Civil Rights Museum Advisory Board does not have a budget, and its members do not receive a salary, a per diem or reimbursements if and when they travel. That wouldn’t mean much if everybody on the board was from New Orleans. But it’s meant to be a state civil rights museum; by law, there must be at least one member of the board from each congressional district. The governor, lieutenant governor and chancellor of Southern University in Baton Rouge are also authorized to appoint people to the board. But if they pick people from outside New Orleans, some portion of the board will have to travel, and pay for those travel costs out of pocket. “We don’t have any staff,” Jones said, and “no office.” Even sending out notices of public meetings is a challenge, he said. In addition to establishing the advisory board, the 1999 legislation mandates that the museum “be operated, managed, and funded by the office of the state museum of the Department of Culture, Recreation and Tourism,” that is, by the lieutenant governor’s office. A room inside a larger museum is not what the 1999 legislation establishes. Neither is Louisiana’s African-American History Trail, which Mitch Landrieu created when he was lieutenant governor. Calling the museum project “an unfunded mandate,” Shauna Sanford, communications director for Gov. John Bel Edwards, blamed the “$2 billion budget deficit” Edwards faced when he was inaugurated. The Mississippi Legislature in 2011 approved $40 million in bonds with the caveat that half of that money be reimbursed with private donations. Mississippi actually built two museums with a single entrance – one that tells the entire history of the state, and the other that focuses on the struggle for civil rights. An October 2017 column in The Clarion-Ledger suggests that the two-museum idea made the civil rights museum more palatable. However, it’s doubtful that even that idea would have gotten off the ground if not for then-Gov. Haley Barbour’s state of the state address in 2011. And they have. Mississippi had projected that they’d get 180,000 visitors to their two museums in the first year. As of late October, they’d gotten 233,956. The June 2012 Louisiana Civil Rights Museum Planning Study compares Louisiana’s proposed civil rights museum with others around the country. A civil rights museum in New Orleans, the study concludes, should expect to do better than the one in Greensboro, N.C., because New Orleans is bigger and a more popular tourist destination. But it shouldn’t expect to do as well as the museum in Memphis, which is something like a shrine to Martin Luther King Jr.
“We are in an era when African American related history and culture is becoming more prominent in museums and venues around the country, indicating a growing interest,” the report says. In the six years since that planning report was published, the National Center for Civil and Human Rights in Atlanta and Mississippi’s Civil Rights Museum have opened. So, too, has the National Memorial for Peace and Justice in Montgomery, Ala., a six-acre site dedicated to the more than 4,400 black people lynched in America between 1877 and 1950. A feasibility study would have to be done, Flucker added, and that could take two years, maybe more. Then came Hurricane Katrina. And three years after that, a fire. In 2011, Lourdes Moran, then the president of the Orleans Parish School Board, said the board would be auctioning off decrepit buildings. Alembic Community Development purchased the old school building for $660,000 and currently uses it to house Dryades Public Market. In 2013, the civil rights museum board bid $8.2 million for the Louisiana Art Guild’s ArtWorks building on the corner of Howard Avenue and Carondelet Street. Though the board’s bid was reportedly $2 million more than The New Orleans Culinary and Hospitality Institute, which was awarded the building, guild board chairman Bill Hines told The Lens that the guild was not obligated to choose the highest bidder, and that the civil rights museum board’s proposed financing was less secure than NOCHI’s. Before Mitch Landrieu left office as mayor, Jones said, the board proposed housing the museum in the four cottages in Armstrong Park that the National Park Service has since relinquished to the city. The idea of using the Municipal Auditorium for that purpose has also been floated. Jones, who was appointed to the museum board by Landrieu when he was mayor, said that the board has not yet had any conversations with Mayor LaToya Cantrell about the museum or where it might go. Jones said the board’s last meeting with a quorum was in July. What was on the agenda? What about getting a champion, somebody with power who can get things rolling? Jones laughed. “That should be on the agenda,” he said. The exhibit at the Mississippi Civil Rights Museum that features Smith and Castle is not really about the two of them per se. Yes, it shows their likenesses, but it’s actually an exhibit about a favorite trick of segregationists: labeling all civil rights activists communists. When Smith was shown a cell-phone photo of the exhibit in Jackson, he lit up. “That’s Doris!” he said, remembering his fellow activist who died 20 years ago. Smith talked about how brave the women in the movement were, how their bravery so often inspired his own. He talked about how upset he’d been during that particular demonstration. Why did he have to put on a suit and tie, he was wondering, just to get arrested? There was no discussion about the accusation that they were communists. 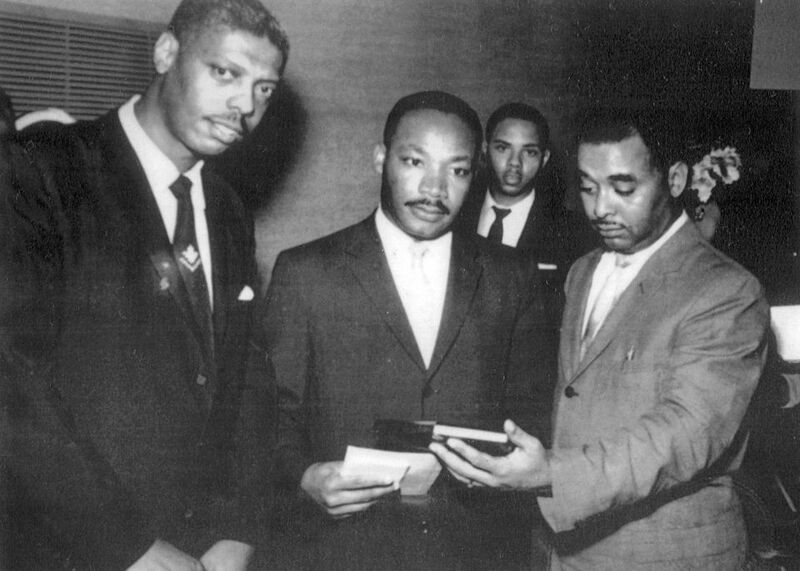 Smith referred to a conversation he’d had with King and how impressed King had been with Smith’s ability to express theological truths in ways that were understandable to the people they were attempting to mobilize. Then he explained the method he used to connect with older folks who may have been suspicious of young people and their activism. “Ma’am, I’m with the student movement,” Smith said he’d tell the person answering the door, “and we’re out here trying to advance the teachings of the Sermon on the Mount.” How could church-going elders say no to that? Every conversation with Smith is a history lesson, and he seems willing to share his experiences with anybody who asks him to share it. But he can’t talk to everybody, and like everybody else’s, his time on this planet is limited. The Legislature in its wisdom decided in 1999 that there needs to be a museum that holds Smith’s stories, and the stories of so many others in New Orleans and Louisiana who fought for the meek and who hungered and thirsted for righteousness. The state hasn’t come that far but, in 2018, we can truthfully say that even Mississippi has celebrated and commemorated its civil rights heroes. Jarvis DeBerry is a columnist on the Latitude team at NOLA.com | The Times-Picayune. Latitude is a place to share opinions about the challenges facing Louisiana. Follow@LatitudeNOLA on Facebook and Twitter. Write Jarvis at jdeberry@nola.com or@jarvisdeberry.